OK, this is not for all men who are going through fertility problems; I see lots of men who are so willing to take on board anything that will help them to become fathers, even if it is not ‘their issue’. They recognise that sperm needs to be healthy, but also that their partners need the support, the acknowledgement that you are both in it together. And more and more young men are willing, able and confident enough to say, yes my sperm is the issue here and I will try my best to make it better. 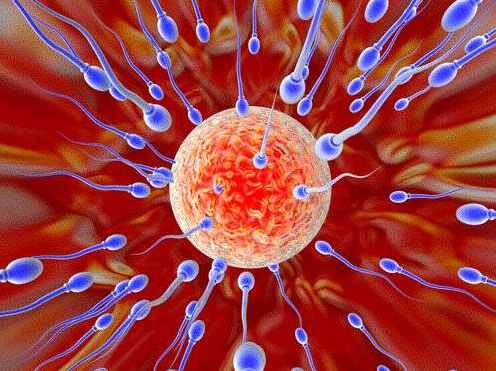 After all, male infertility is increasing around the world. These men are not alone in this; I see all sorts of lovely, fit, healthy men; the issue they share is poor quality sperm. Just like women have poor quality eggs, or endometriosis or PCOS or even unexplained infertility. So this is a plea to those of you who actually are just not prepared to pull your weight on this, who cannot or will not accept that your sperm is 50% of the DNA of your baby; the baby that needs every chance to grow up to be a healthy child and a healthy adult, that will produce your grandchildren who also need to pass on a healthy genetic blueprint. I have had a bit of a week of it, partners that cannot be ‘nagged’ (poor things), don’t believe that smoking or eating crap affects sperm (hello, if diet affects cancer risk it affects sperm), don’t want to in any way modify their lifestyle, aren’t interested in any of the research that regularly comes out and believe that ICSI is the answer – the clinic just picks the best looking sperm, injects it into the egg, and hey-ho, job done, yes? Well, no actually! Because no-one can know if the DNA of that sperm is any good; sperm is a vehicle for DNA, that’s all, and the egg is very good at discriminating genetically good sperm from bad. With ICSI this selection process is over-ruled. So yes, ICSI is an amazing medical advance but it is absolutely incumbent on the man to ensure that the one sperm chosen has the best DNA possible. But it must be said that much of this attitude is down to the IVF clinics themselves. Many of my clients have asked if there is anything they can do to help their sperm. The answer is always ‘No, there’s nothing you can do’, or ‘Maybe old chap, could you possibly stop smoking’…arrgghhh! As well as being so utterly un-empowering for the man, it’s also not true and it seems to me that this attitude is downright irresponsible. There is a mass of research out there. Vets and farmers have known for ever that the food they feed their breeding bulls, boars, stallions whatever, is going to make good sperm and better progeny which makes more money. It’s not rocket science. And yes, there’s always the fat bloke down the pub, drinking 10 pints a night, smoking 40 fags a day and eating chips, and he has loads of babies doesn’t he? A bit like the ‘crack addicts have babies’, ‘starving people in war zones have babies’ argument. The thing is actually often they don’t; and there is a higher rate of miscarriage and health problems for the children, from learning difficulties and behavioural problems, allergies and obesity right through to an increased risk of some cancers. So think of it as a project; three months of ticking all the boxes, getting the latest information on the dos and don’ts for healthy sperm and contrary to what you may think it’s not all hellish. You can still drink wine, eat chocolate, have a social life, play sport and actually be quite normal! Eating well just supports your life generally; you will have more energy and better resources to deal with stress and many men feel so different that they keep many of the changes going. But above all you will have given it your best chance to have the baby you want and you will be a team with your partner.